What is the character of leadership? 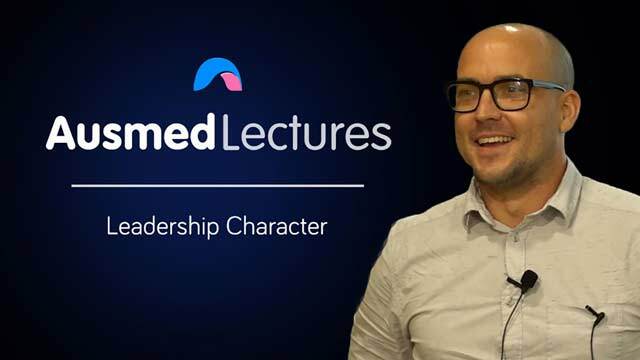 This session demonstrates how leadership character can make or break an organisation, and how it can have widespread effects on patient experience, patient outcomes, productivity, efficiency and staff engagement. Julian trained in Brisbane and graduated from the Queensland University of Technology with a Bachelor’s degree in Nursing. In his first year as an RN, Julian headed to New Zealand to work in the Invercargill base hospital. The following year, Julian returned to Brisbane and continued his nursing practice at the Prince Charles Hospital. There, he specialised in Cardiothoracic nursing and had a deep passion for education and training within the clinical setting. Julian soon found his niche as a Clinical Facilitator of undergraduate student nurses. Continuing on his journey for promoting better bed-side care through staff development initiatives, Julian decided to undertake a Master’s Degree in Clinical Education. Julian has held the Director of Clinical Services position at St Vincent’s Private Hospital in Brisbane where he successfully led the team through the EQuIPNational Organisation Wide Survey through the Australian Council on Healthcare Standards. Currently Julian heads up Safety and Quality for the Aboriginal and Torres Strait Islander Community Health Service in Brisbane. Julian is driven to see all people, regardless of race, creed or colour, have appropriate access to individualised, exceptional care and treatment where they are included in the decisions of their care journey. Overall, this online learning was very interesting and helpful. I could learn different aspects of becoming a good leader at the workplace. The values or traits that a leader should possess enabled me to reflect on my own leadership values. Thus resources is fantastic. The presenter explains in a manner which is practical and engaging. So far , this is the very best lecture that I have seen in Ausmed. The nurse giving the lecture has left me with a lot to reflect on , as well as plenty of further reading to do. Great work, Ausmed, keep up the excellent work! I enjoyed this video of a recorded presentation. I wish that the reference list at least and the power point was available as it was for audience in the recording. Speaker often walked wide for video view and some slides he discussed weren't what was visible - or presenter is a bit color blind - as logic didn't track. As this is my first Ausmed CPD since joining as a paid member perhaps there is an option that exists to get a readable view of the reference list. I will try to find a way. I will look into watching other links that referred to that were not in the 40 minute presentation I just watched. Overall, thank you very good.